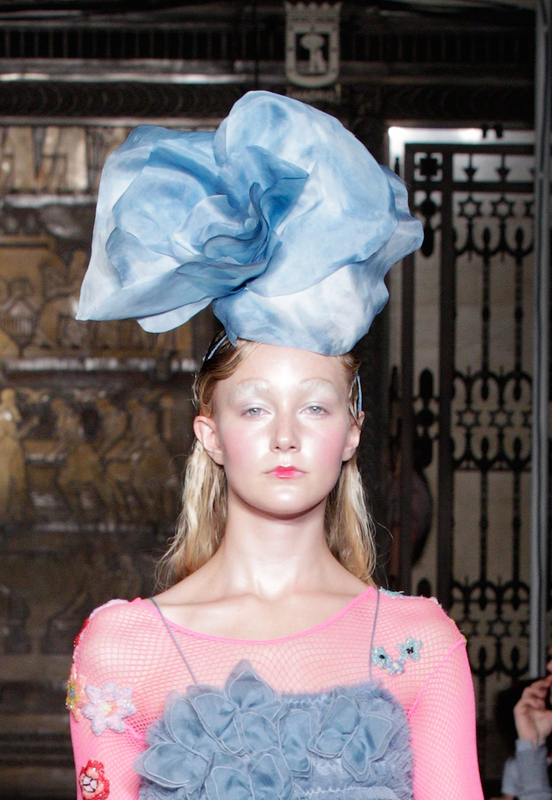 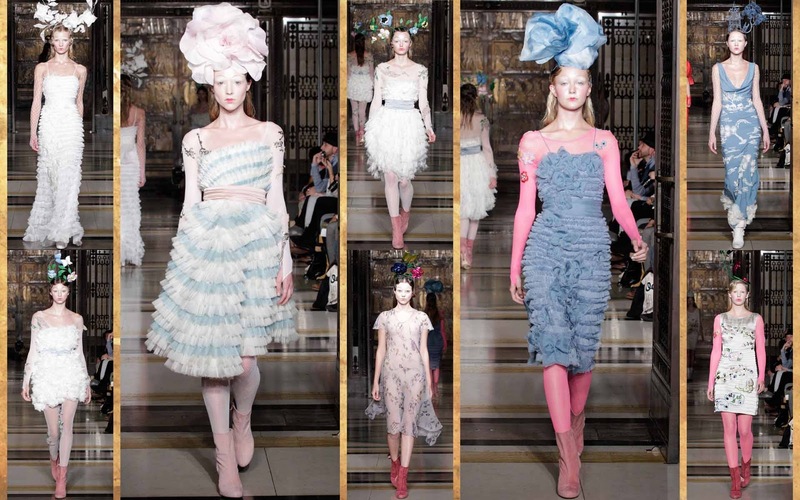 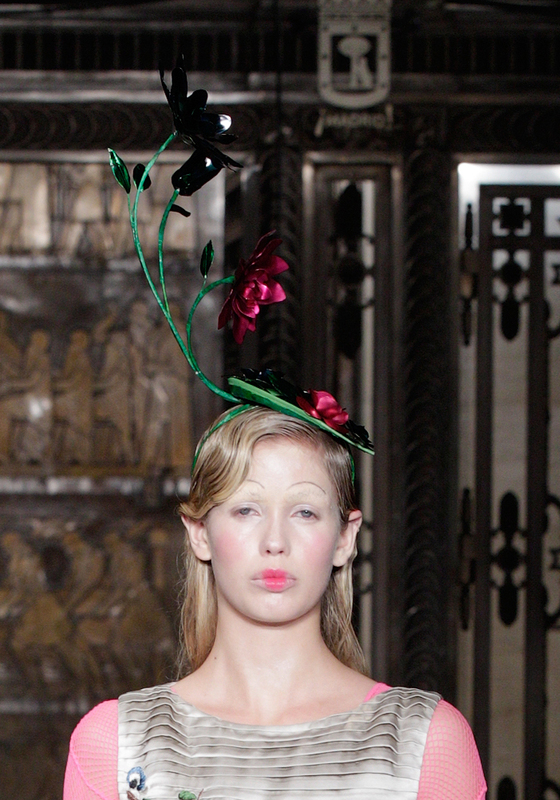 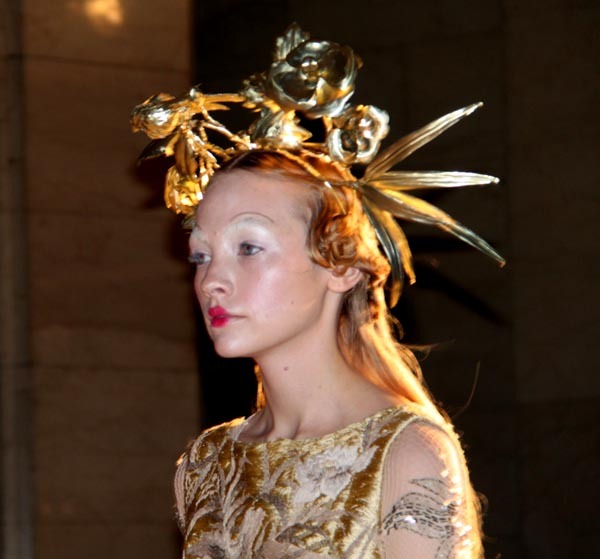 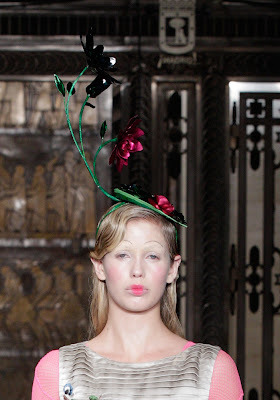 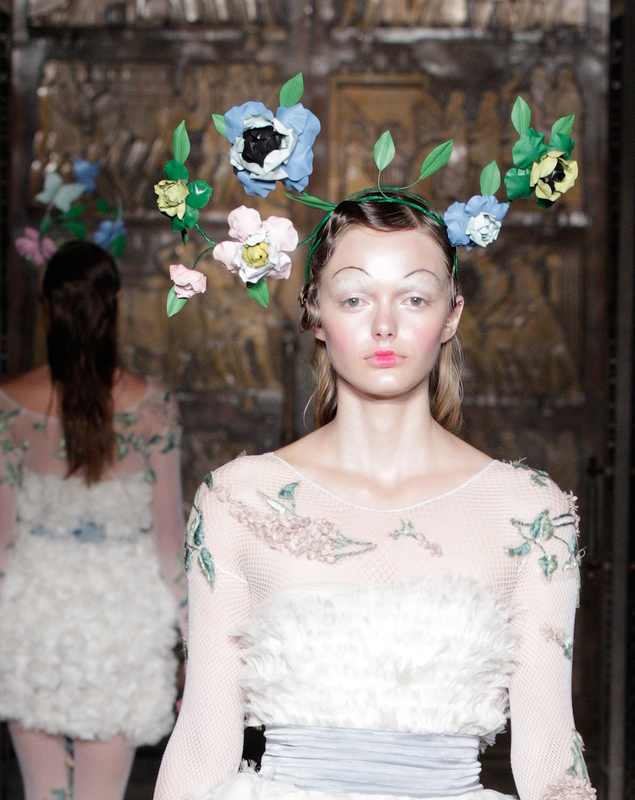 Taking place at the exquisite Freemasons Hall, Elisa Palomino previewed her ss12 collection, inspired by the Victorian fairy painting movement. 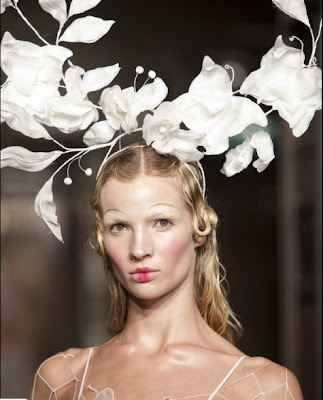 After graduating from St Martins, Palomino has worked at fashion houses for the likes of Moschino and Roberto Cavalli before launching her own collection in 2010 during New York Fashion WeekCreating a dramatic build up, classic music was played for an explosive eruption when the first model entered the catwalk. At first, the collection was strictly monochromic, with stiff Victorian shapes, finished with fishnet sleeves, and beautiful laced, sequined and ruffled details. Each outfit was completed with an extravagant, eye-catching headpiece of delicate flowers and butterflies. 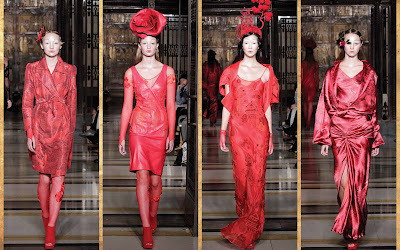 Following this was an array of scarlet tones- loose, draping gowns with a display of floating Chinese houses and exotic orchards- showcasing Palomino’s taste for Asian patterns and influences. 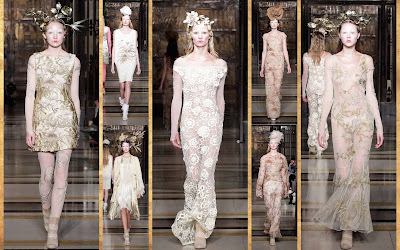 The collection then flourished into a sea of ivory lace and waves of fringes and tassels, with a number of dresses lavished with tiny beads and embroidered with floral patterns. 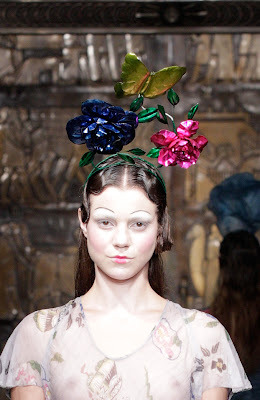 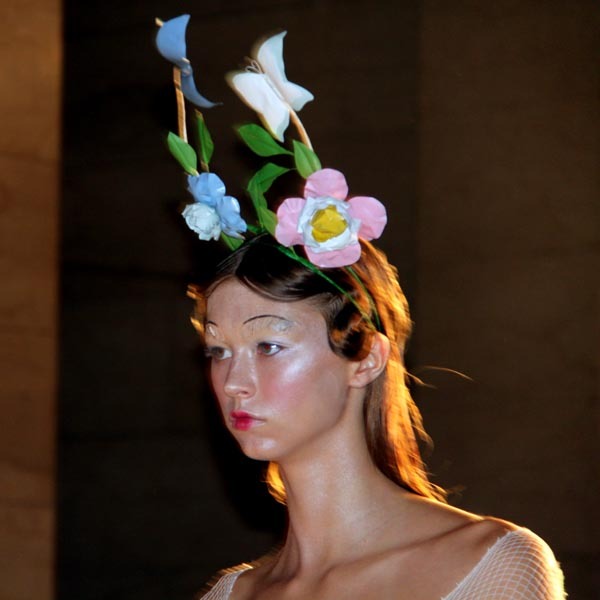 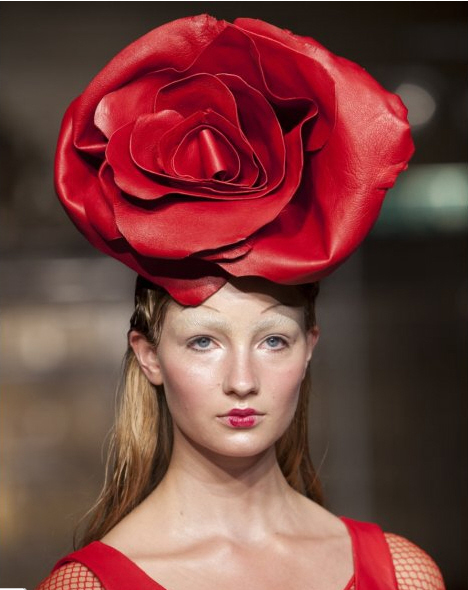 Headpieces were heavily featured, with oversized flowers and combinations of nature inspired bird and butterfly metalwork. 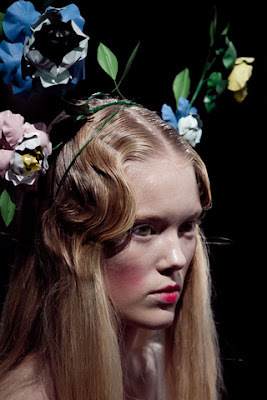 Overall, Palomino kept her style feminine, floral, and fairy like, creating a fantasy feel to the entire show. Inspired by the Victorian fairy painting movement, rich in nostalgia for a vanishing way of life, bought you an elegant yet eerie collection with outstanding head dresses. Being a jewellery designer & obsessed with textures & detail, Elisa Palomino's SS12 collection ticked quiet a few boxes for me. 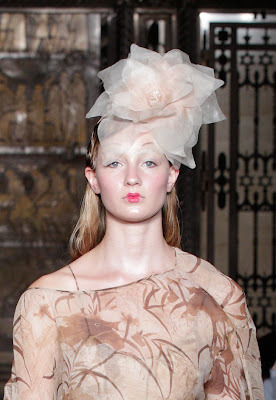 The detailed sheer dresses & embroidered tights would be welcomed into my wardrobe & are a must purchase for SS12. 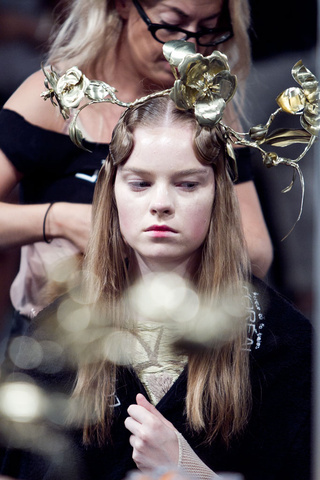 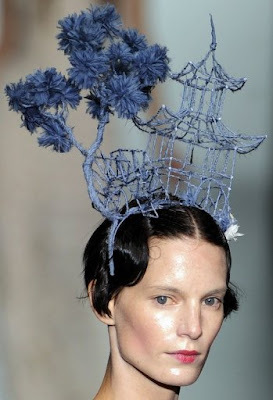 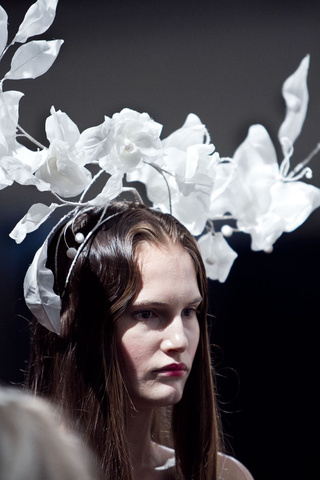 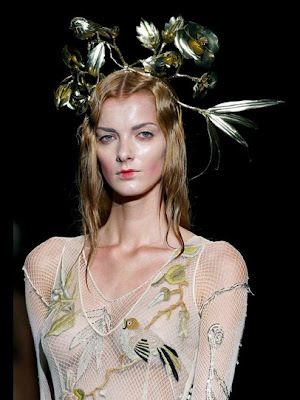 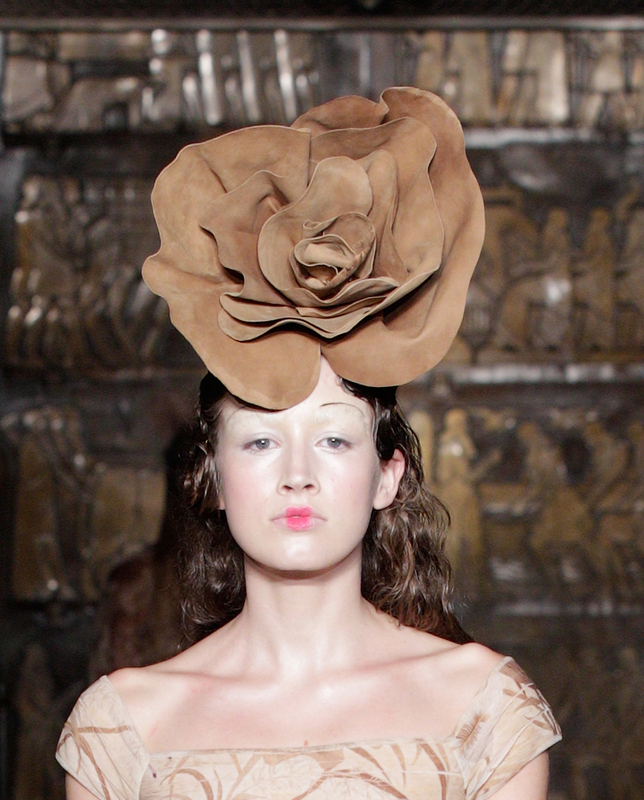 The headpieces were an explosion of birds, butterflies & flowers in your hair all in pre-Raphelite metalwork. 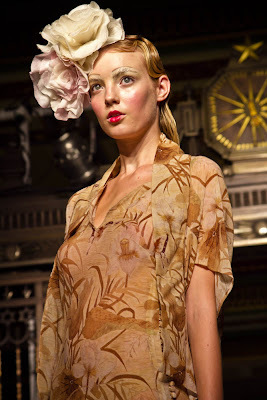 I am so happy I was able to see them on the catwalk-stunning. 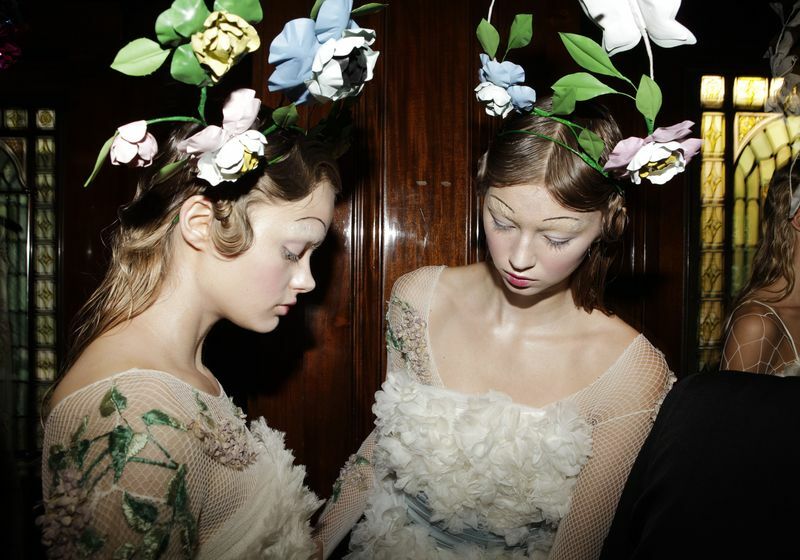 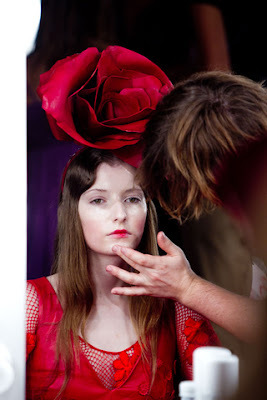 The models at Elisa Palomino SS12 were such a divine meeting of delicate fabrics, embroidery techniques and ornate headpieces - not surprising when the whimsical Victorian fairy painting movement inspired the collection. 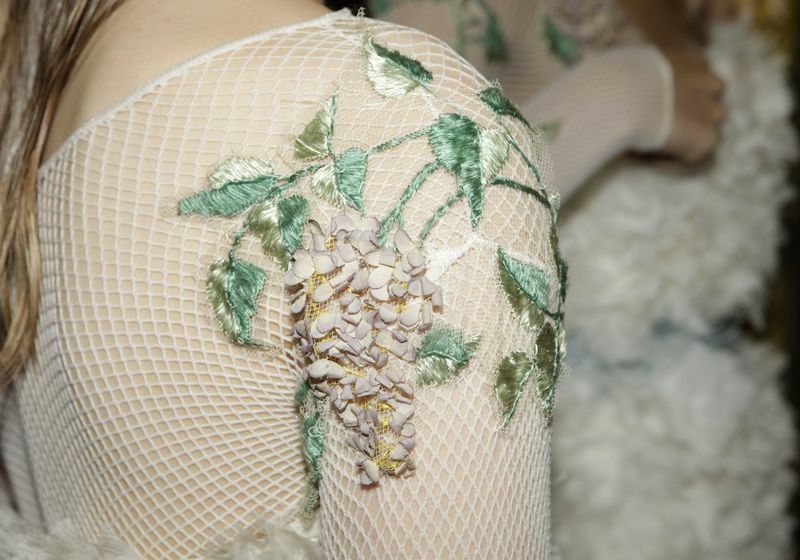 These pictures are known for their acute attention to detail, so it so fitting that our eyes wandered over the intricate trappings of each look. 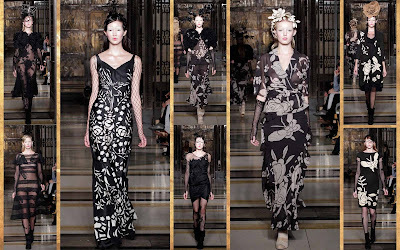 The opening gowns were heavily decorated with creeping laser cut and appliqué white on black rose prints. 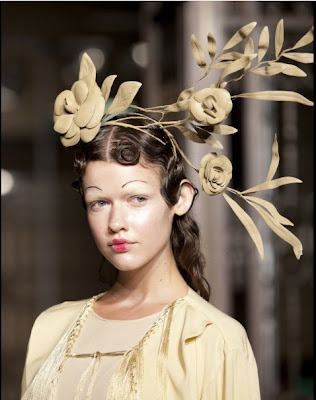 We were introduced to the beautiful, branch-like and sizeable flower headpieces from the very beginning and remained a constant feature. 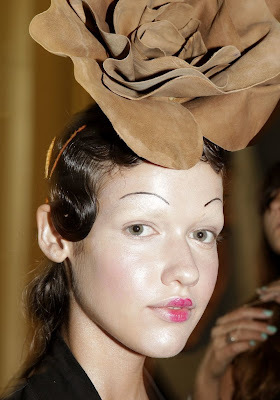 Their form so true, they could have been plucked from nature. 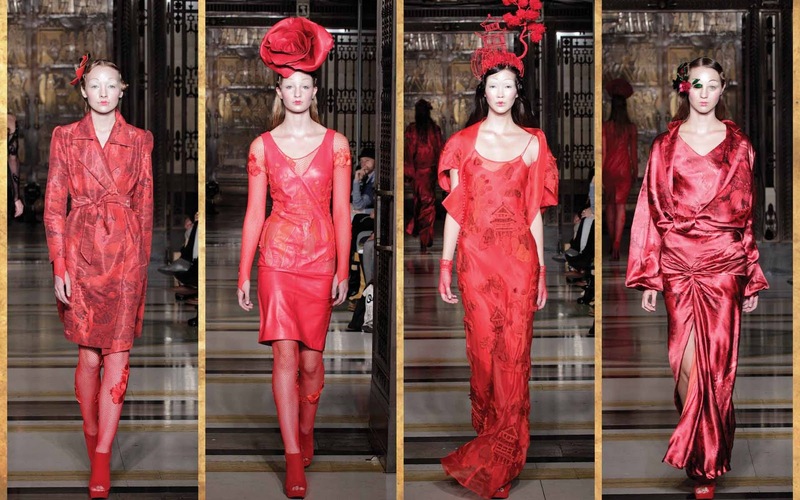 A harsh red hue brought about a change in the collection. The stark pieces carried floating 18th Century Chinese motifs depicting leather embossed pagodas structures and teahouses. 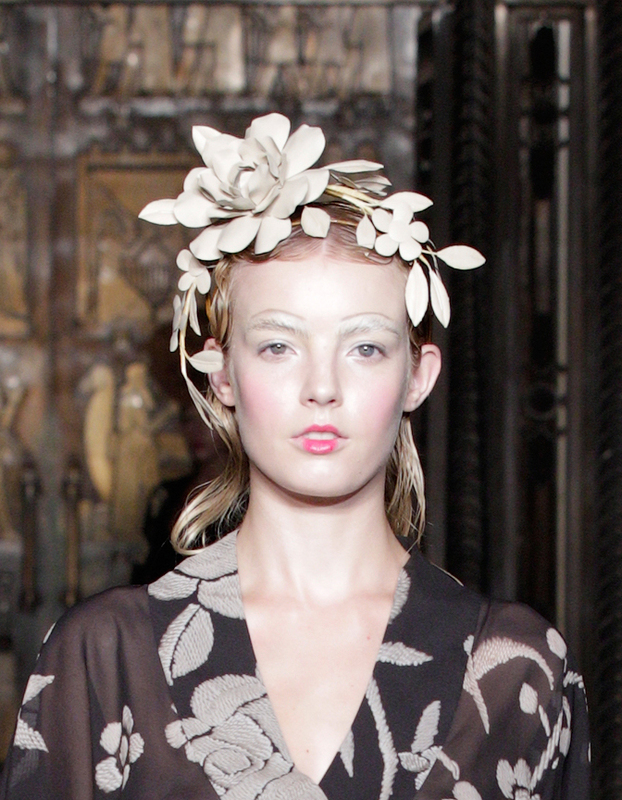 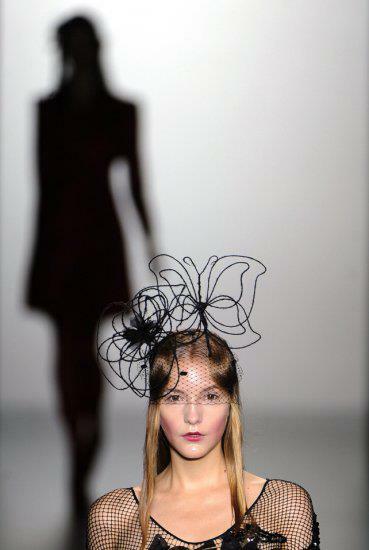 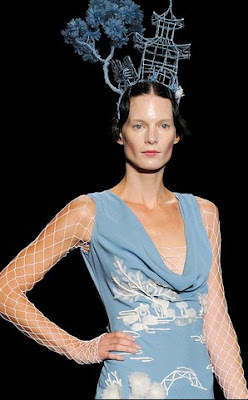 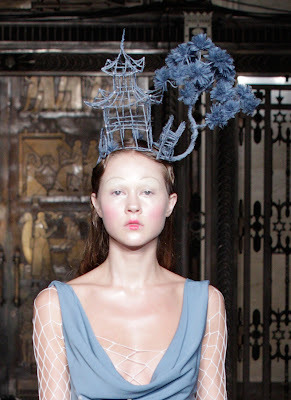 The headpieces mimicked the transition with tall, silk pagodas structures. 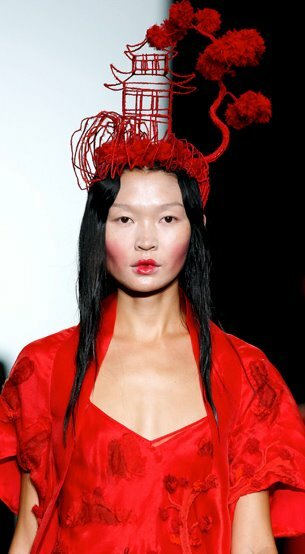 An Eastern influence remained while the details moved away from sharp laser cuts, becoming increasingly textured. 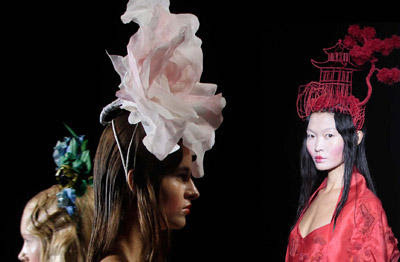 A series of tulle cocktail dresses brushed aside the Chinese essence and brought back the legendary creatures. Our ethereal women glided on the runway, swathed in spirals of the frothy fabric. 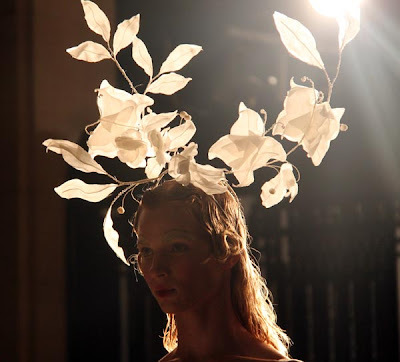 In our modern world of logical thinkers, there is no room for make believe or fantasy. Fairy painting was lost along with the waning of Romanticism, but Elisa produces a very covetable feel with the nostalgia of a vanishing way of life. White and ivory garments where richly hand embroidered with flowers, leaves and mid-flight butterflies in washed out natural tones. 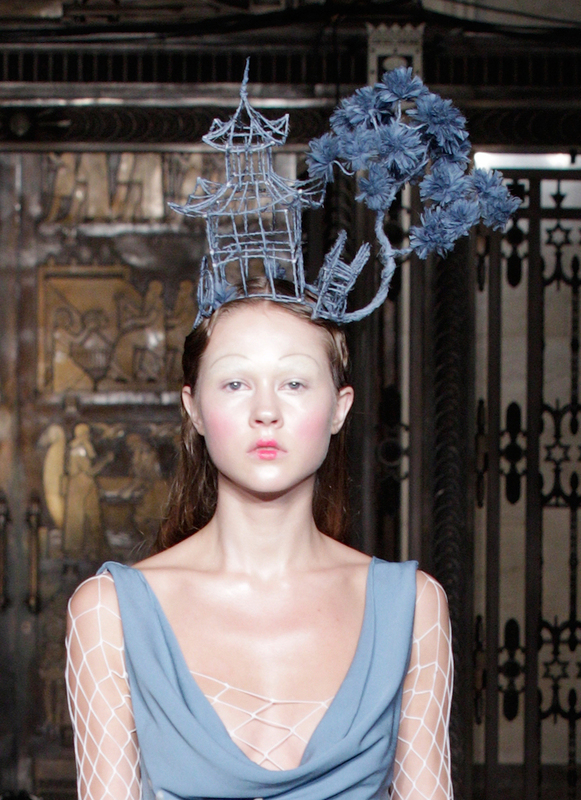 The last gown: a body conscious column of tulle, covered with the intricate stitching – 'I do believe in fairies'. Headpieces by Angel Amor a millinery project created by Laura Fernández and Angel Fernández. Great thanks to Elisa Palomino for making true this beautiful dream and thanks to Rafa Mollar for his collaboration creating some of the most beautifully pieces like pagodas and golden branches.